Pastor Saeed Abedini who was jailed in Iran for almost three years and released in 2016 in a negotiated prisoner exchange, was arrested Sunday by Boise Police for violating a no-contact order, reports say. Abedini, 37, was slated to appear in court today, online court records indicate, according to the Idaho Statesman Monday. The former Muslim turned Christian pastor, who is originally from Iran, pleaded guilty in February 2017 in Ada County Magistrate Court to violating a restraining order that his estranged wife, Naghmeh Panahi — who fervently advocated for his release in the media and in Congress when he was in prison — had taken out on him. The local ABC affiliate reported that the Ada County Sheriff's Office website shows authorities booked Abedini just before 11 p.m. Sunday night. In July 2012 Iranian authorities arrested Abedini for establishing Christian schools and was widely seen as the face of Christian persecution and remained so until his now ex-wife accused him of sexual and psychological abuse in November on 2015. The Christian Post obtained the transcript of the divorce in June of last year in which Abedini is portrayed as the real victim, in which he claimed that Panahi lied so he would be arrested during a 2007 incident for which he was made to plead guilty to a misdemeanor. "The day after that in the morning it happens a lot between us. When she gets angry she cannot control herself. And she told me so many time that when I get angry I cannot control myself. But after that when she sees, she start destroying me. She feels so bad about it and she came and kind of, like, knee down on me, my feet, start crying. Kissing my legs even with tears and said please forgive me I know what I did," Abedini told the court at the time. He further alleged that Panahi was "very controlling" and that she had punched him in the face 24 times and threw things at him before he said had to stop her. Panahi said that all she did was throw a shirt at him before he flew into a rage. "He got very angry. He started beating me very badly. I had bumps coming out of my head. Bruises all over. Kicking and hitting, and I thought I was going to die. I was screaming and yelling," she said in one portion of the transcript describing the abuse. 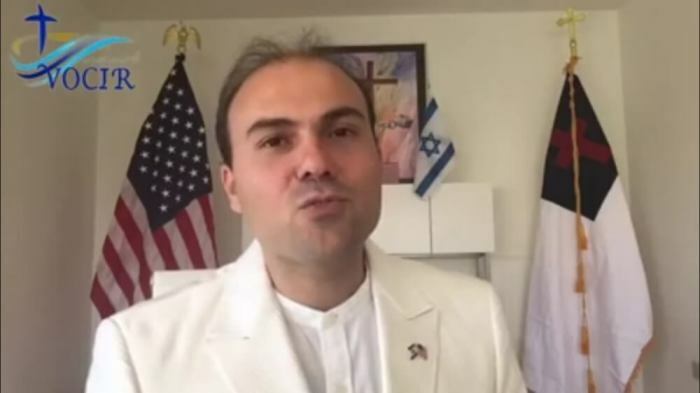 While he was held captive in an Iranian prison, hundreds of rallies and prayer services were held across the United States as prominent evangelical leaders such as Franklin Graham and Greg Laurie of the Harvest Crusades, advocated for Abedini's release. Abedini claimed in an April 2017 Facebook post that Graham exploited his story in order to raise funds for his own organization's operations but did little to assist him following his release. Graham, though a spokesperson, subsequently disputed the charges, maintaining that he never raised money from other people for Abedini and has ceased communications with both him and Panahi.